Americans, particularly those in North Carolina, Texas, Memphis, Kansas City, or Texas, like to imagine that they hold the patent on the art of barbecue grilling—the skill of slow-cooking meats over natural flame heat. So it sometimes comes as a surprise to learn that other parts of the world have their own barbecue traditions. Some of these traditions are now becoming more widely accepted, such as those from Korea or Argentina. But Ireland? In fact, every September, barbecue fans from all over the world flock to Lisdoonvarna, Ireland for the World Cup Barbecue Championship. And this is no simple public relations stunt, but a completely legitimate competition. After all, legendary Kansas City barbecue artist Paul Kirk has won this award to go along with his eight world championships and 545 other awards. Nor is barbecue a new art in the Emerald Isle. The recipe for the famous Maguire's Barbecue Sauce was written down in the 17th century and lost in a family bible, only to be found again recently. This tomato-based sauce is mild in flavor with a Worcestershire taste. 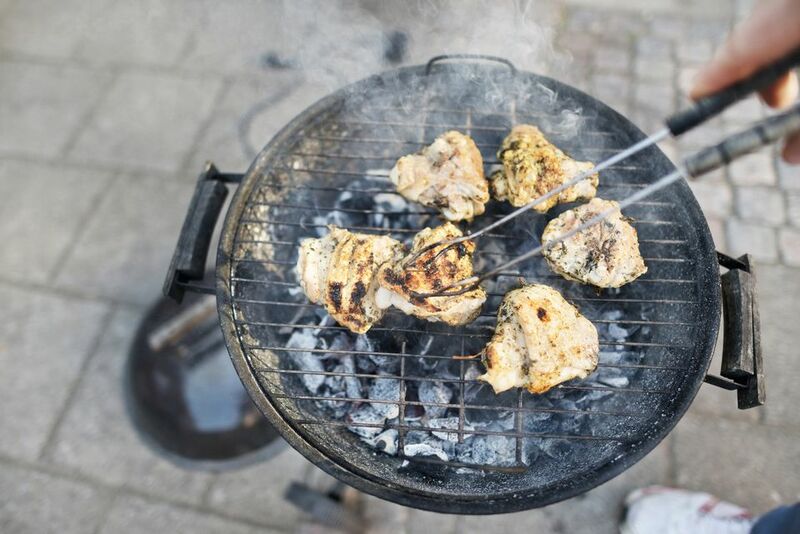 Not only does Ireland know all about real barbecue, but they buy gas and charcoal grills at a rate that has attracted the business of manufacturers all over the world. Virtually any grill or smoker you can buy in the United States can be purchased in Ireland. With one of the fastest growing economies in Europe, the Irish are hitting the patio and they are grilling in a big way. From a historical perspective, it makes perfect sense for the Irish to enjoy both barbecue and grilling. Having long been a major producer of meat products and well versed in a wide range of preserving techniques, the Irish have given us a long tradition of down-to-earth food. In the history of Irish cuisine, the tradition of flavoring fresh meat (especially pork) with honey and berries, then slow-cooking it over a flame, is very well known. And this tradition was in place well before it appeared in the American South. Now that the word of barbecue has spread on the winds of the internet, bolstered by the mass-market production of grills and smokers, the Irish can finally stand up on their long tradition of folk cooking and welcome a new age of grilled and smoked foods. So what to prepare when St. Patrick's Day rolls around, or when you are feeling a little Irish? Of course, you can always go with corned beef and cabbage or Irish stew. But you should be aware that corned beef and cabbage is an Irish-American dish and not a favorite of Ireland, at all. If you really want to celebrate in genuine Irish fashion, stock up on the whiskey (a tradition from St. Patrick himself), fire up the grill, and have a good hearty meal.